Congratulations on finding the Stormgate Crystal to Valencia. This is the dangerous world of the Armada. Don’t let it’s beauty fool you, this is going to be a treturous place to be. This is the land of the clockworks. Sort of a robot soldier that has been mass produced to take over the world. 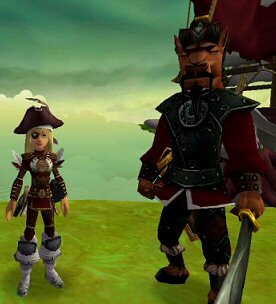 You met some of them at the beginning of your adventures here in the Pirate Spiral. Remember when Boochbeard and Gandry helped you break out of the brig on that Armada ship? You all ran out on deck and came face to face with your captures. Well those are the kind of robot clockworks you’re going to face here in Valencia. Now it appears that wasn’t always the case for this world. This place used to belong to a peaceful and gentle group of kind Unicorns. But it appears they were attacked and conquered by the Clockworks. But that’s not your mission here. Well at least not at first. 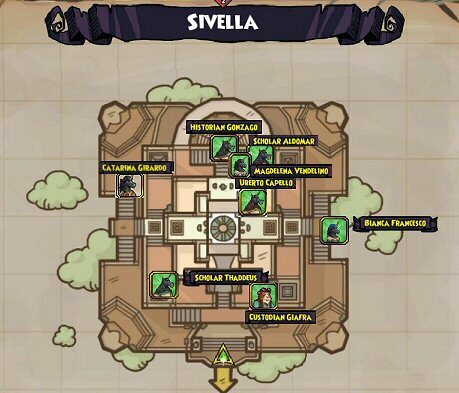 Finding the rest of Marco Pollo’s map is your current mission, so let’s get to it! 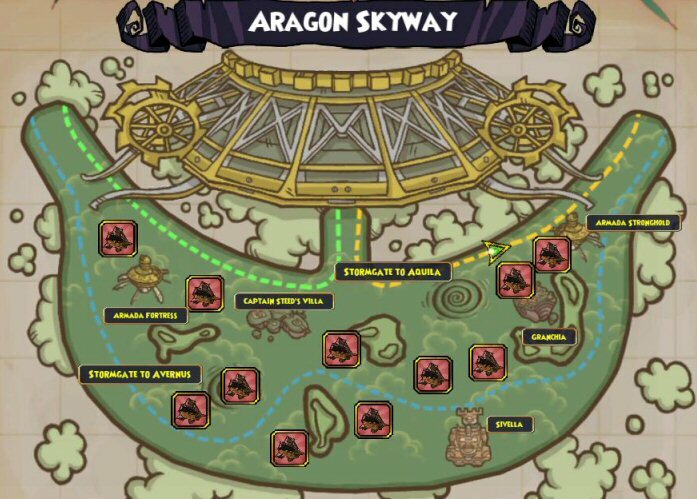 When you enter Valencia, you’ll be on the Aragon Skyway. Be careful, the Armada is everywhere! Your first visit will be to the lovely villa of Captain Steed. Look for the treasure chest by the bridge. You can pick up an easy 90 or so pieces of gold. 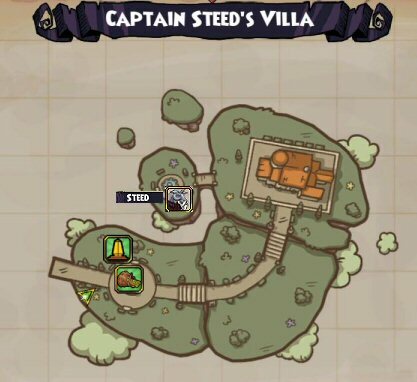 Steed will send you on your first quest, to gather items that will help you hide in Valencia. 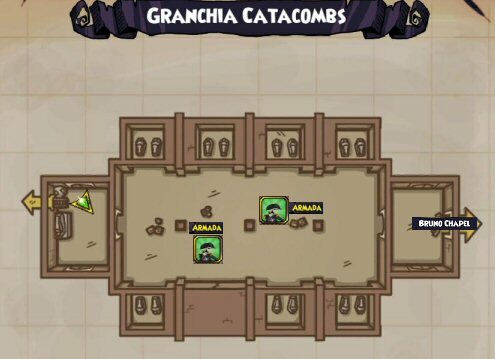 With your new look you can visit the Unicorn’s Academy. 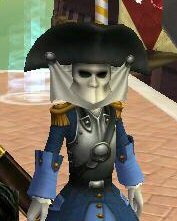 It’s amazing that the Armada guards don’t wonder about the really short clockwork running around with a weird companion. But hey, it will get you to the gondola. 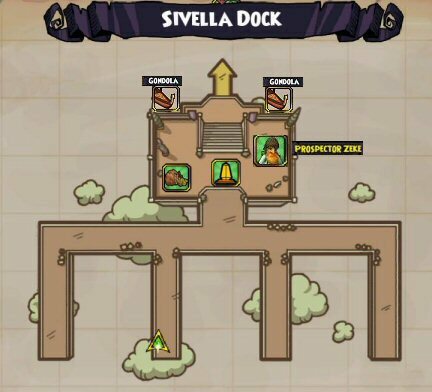 Before you leave the docks look for our Prospector friend and pick up your new Zeke Quest. You’ll be looking for A Flock Of Seaguls this time. You’ll have a lot of Unicorn folk to talk to, so make sure you run around and explore to find those who have quests for you. And don’t forget to run up to the top of the pyramid and find the first lost seagull. Be careful when you’re running by the Armada soldiers. Unlike the docks, running past them here can get you into battles. You won’t do a lot in the library this time. But don’t forget to look for the seagull. This is a pretty easy first visit. You’ll have one battle, assuming you can avoid the Armada soldiers as you run around. You’ll go upstairs and then you’re gone. Till next time. 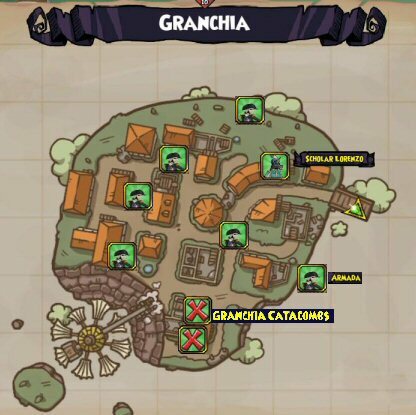 After you complete the book quest that took you to the Fortress, you’ll be sent to Granchia. The streets are filled with Armada so do your best to hug the walls. 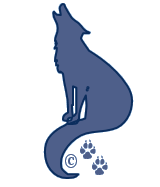 There’s not a lot to do here this time around, but there are some important tasks to complete. The biggest will be to find the Catacombs. Again, there’s not a lot to do here. Look for the Seagull and head to the Chapel is about it for now. 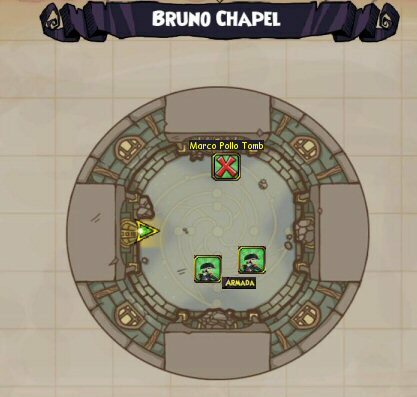 Here in the Chapel you’ll find Marco Pollo’s Tomb. But more importantly you’ll find the next Stormgate Crystal. Don’t leave without grabbing it! 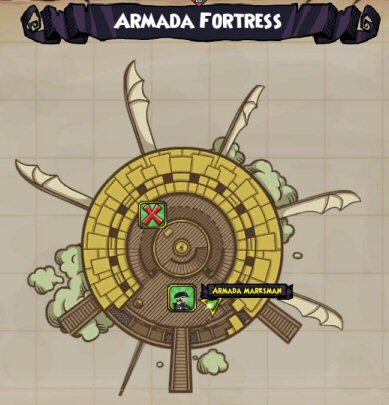 As for the Armada Battle, pay attention to who you have to defeat. There will be a lot of guards here trying to keep you from escaping. But focus on the two important ones and you’ll get out just fine. That’s about it for this go around in Valencia. You may notice there are a lot of areas you weren’t sent to and a number of places you couldn’t get into. Double check you’ve completed all your quests and head on to the next world, Cool Ranch. Don’t worry “You’ll be back” here soon enough!